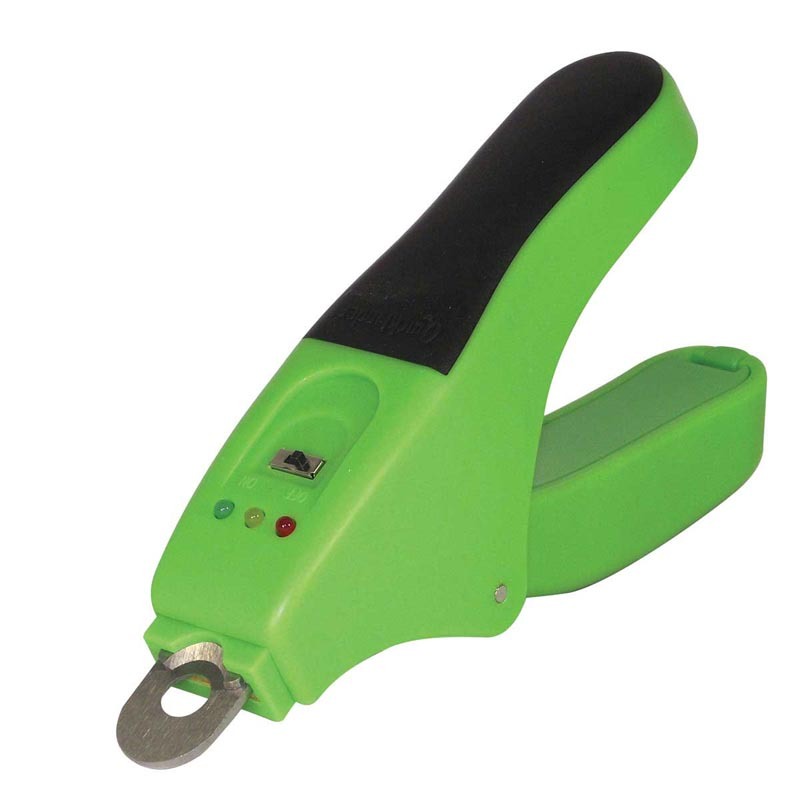 The patented design makes it easier to trim the hard to cut nails of large or hard nail breeds. QuickSensor technology detects your pet's quick. Red, yellow, and green lights flash to indicate when it is safe or unsafe to cut. Perfect for professionals and home groomers. Stainless steel cutting blades provide a sharp and long-lasting cutting edge.